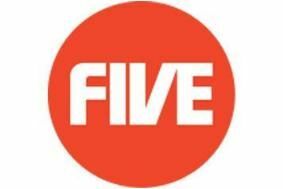 Five rebrands as Channel 5, Desmond culls staff and directors | What Hi-Fi? In 2002, Channel 5 ploughed millions into rebranding as Five in an effort "to shed its image as the downmarket alternative to its terrestrial rivals". As well as rebranding, Desmond has also culled the senior management team at Five. Chairman and chief executive Dawn Airey is moving to a senior role at Five's former owner, RTL. Seven out of nine executive board directors are leaving the company, and this morning staff were informed that there will be 80 job losses as part of a £20m cost-cutting drive. However, Desmond says he intends to invest £300m annually in the channel in a bid to "go toe-to-toe with the biggest players in the TV world".